An Indian-origin British businessman accused of plotting the murder of his Indo-Swedish wife on their honeymoon, faces extradition to South Africa within four weeks after he lost his last legal battle to block the move. Shrien Dewani's legal team had wanted to challenge an earlier High Court ruling that he could be extradited over the killing of his wife Anni. However, a panel of judges headed by Lord Chief Justice Lord Thomas on Monday refused to allow the case to be heard in the Supreme Court. 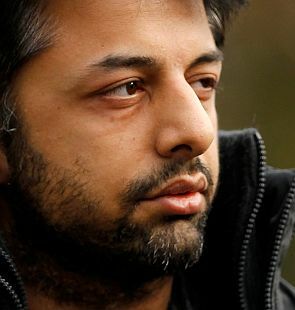 Bristol-based Dewani is being compulsorily detained under the Mental Health Act, suffering from severe depression and post-traumatic stress disorder. His lawyer told the judges at the High Court in London that there was fresh evidence that his "underlying medical condition" may have become chronic, making it "untreatable". But the judges rejected complaints made about the adequacy of the undertaking by the South African authorities regarding Dewani's welfare, refusing to give the go-ahead for the case to go to the highest court in the country. In January, the High Court ruled it would not be "unjust and oppressive" to extradite Dewani if assurances were received from South Africa about the length of time he would be kept in the country without trial. The 33-year-old is suspected of ordering the killing of his wife, a 28-year-old Swedish national of Indian origin. The charge dates back to November 2010 when the pair were held at gunpoint while driving through Cape Town in a taxi. Dewani was released unharmed but his wife's body was found in the car with injuries to her head and chest the following day. Prosecutors allege South African national Xolile Mngeni, who was later convicted of premeditated murder and jailed for life, had been hired by Dewani to kill his wife. The legal battle to keep Dewani in the UK until he is well enough to travel has been ongoing since 2011. But his team may now have exhausted all legal avenues, paving the way for UK Home Secretary Theresa May to issue an extradition order. An application was made to the judges on Dewani's behalf to delay immediately triggering the 28-day period in which the law now requires Dewani to be extradited. Refusing the application, Lord Thomas said: "The provisions of the Extradition Act are designed to ensure extradition is a speedy process. "I therefore pronounce today. Any period that is applicable under the relevant legislation will run from today."